This entry was posted in Education, Varietals, wine and tagged biotype, DOC, grape, Italian FWT, Italy, IWE, Lugana, native, region, trebbiano di lugana, trebbiano di soave, Veneto, Verdicchio. Bookmark the permalink. Nice article…I am not sure I agree with your definition of the Trebbiano Toscano…;-)…but each of us has our own favourites, of course. Trebbiano di Lugana, though not entirely the same as Trebbiano di Soave, is indeed a very interesting grape. Fair…hence the reason I put the comment in quotation marks. A vin santo wouldn’t be what it is without the accompanying acidity of the Trebbiano Toscano! It has its place! And yes, they are not entirely the same- Trebbiano di Soave is more related to Verdicchio and then Turbiana to Trebbiano di Lugana…Italian grapes are confusing for sure! I can’t say I’ve ever tried wine with chips. You have me curious…. I can’t say I’ve ever done wine and chips. It’s made me curious now. Thanks for joining our group! Love the crunchy, salty tang of those chips — not many wines can make that pairing happen! Lugana for the win! 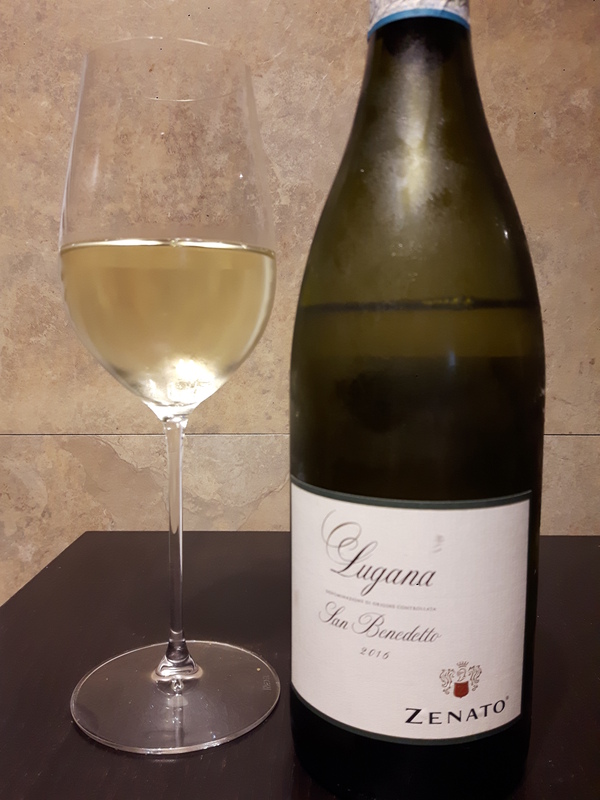 I loved the Lugana…and, I guess, it wasn’t as new-to-me as I thought. Love Verdicchio. No kidding regarding synonyms and biotypes! I’m with you on the salt and vinegar chips at that time, thanks for the idea Marcia. I drink wine with popcorn all the time LOL. I didn’t realize that this was Verdicchio. I am familiar with it by that name but had no idea they were one and the same.